Impulsora is an Andalusian Mare located at Celtic Cross Andalusian's in Ocala Fl. 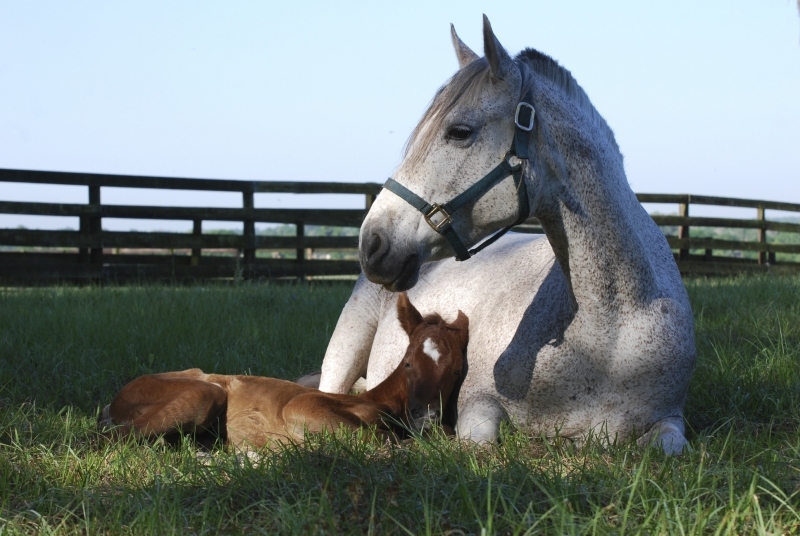 This photo was taken an hour after her filly was born. The foal is now 6 months old, doing well and will be grey like her mom.